I was planting some basil seeds and my hubby said look in the tree. lol after looking at the wrong trees I finally saw it and headed for the camera. 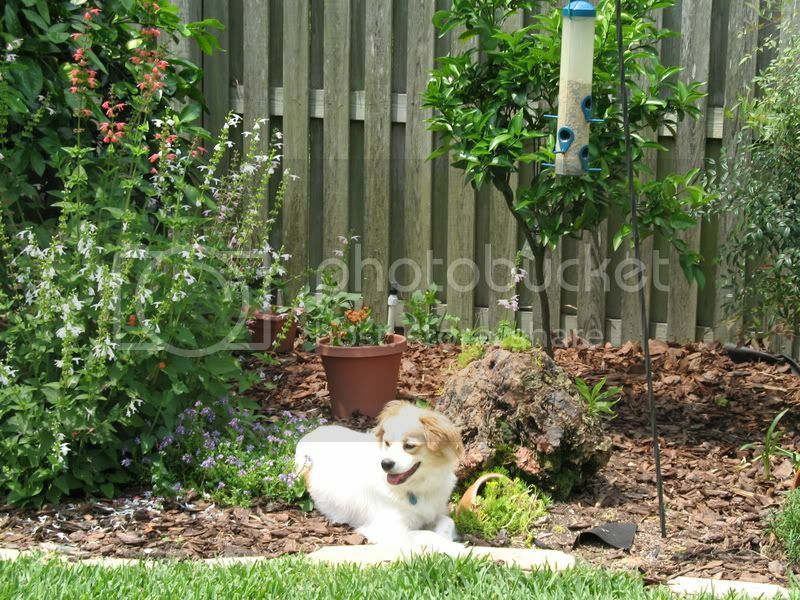 this was one I took of Lola hanging out under the bird feeder lol it is almost as if she is thinking "if I lay here real quite the bird will come and play with me"
That "hawk" looks suspiciously like a vulture; most likely a brown or turkey vulture. my hubby thought thats what it was but I have only seen them on the ground. this one left and another came by. I told lola she needs to be careful out there. I think a turkey vulture, no doubt Ellie can say for sure which kind. We see a lot of those guys around here. They are kinda nasty looking but perform valuable duties. wow cil you and I are such early birds. I was amazed as to the grace of the bird they look so big and lumpy whle on the ground. LOL! Thanks Cil for the vote of confidence, it is a turkey vulture - it has a red rubbery head like a turkey's. Black vultures have black heads and are a bit smaller. I rather enjoy watching them. They're the garbage men of the skies. 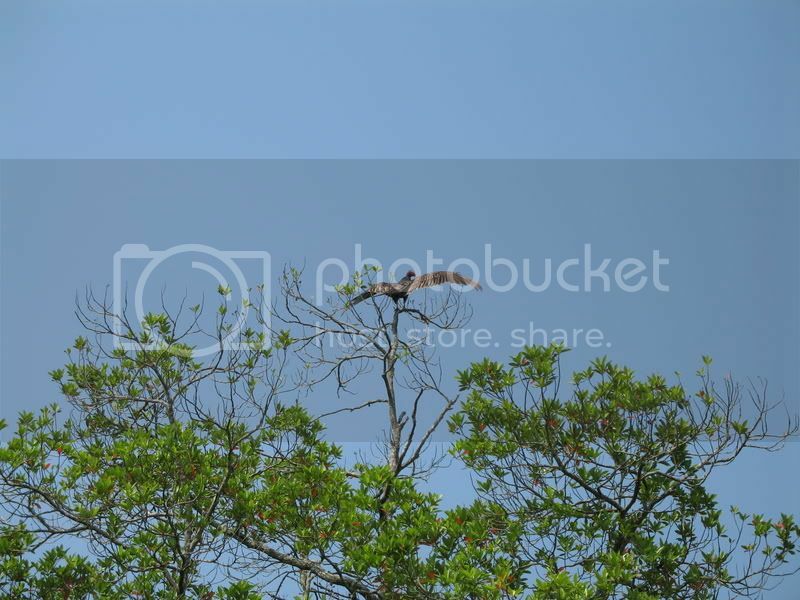 There's a buzzard roost not far from my house that sometimes has 50 or 60 birds perched in it. I could sit out in the screenroom for hours just watching nature. I know what you mean. My bird feeders are right outside my office window. They provide so much entertainment for me when I'm resting my eyes from the computer screen. There's something different happening out there every day.